Smoke can be “driven” or “free floating”. Driven smoke is pressurised, propelled by energy generated by the fire, and tends to affect vertical surfaces. Once cooled, driven smoke becomes floating smoke which is heavier than air, and as it is cooler tends to settle on horizontal surfaces. Whichever form of smoke has damaged your property, Ideal Response have the tools and expertise to remove all the sights and smells smoke leaves. 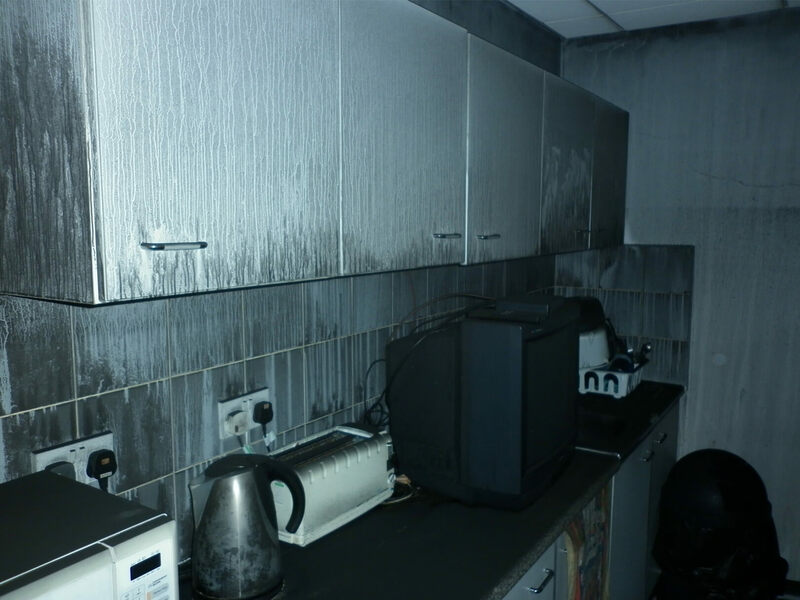 The methods of smoke damage remediation we deploy are many and varied, and depend heavily on both the structure and material of the surface being cleaned, and the type of smoke residue that’s been left behind. Protein fires (burning meat, flesh or poultry), for example, leave smoke with a heavy, oily texture. Smoke from natural substances (such as wood and paper) leaves a dry, powdery residue, and synthetic fires (plastic and synthetic objects) leave a black residue that is easily smudged and can be difficult to clean. 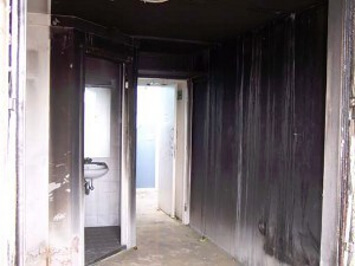 Leaving this smoke residue can have a corrosive effect on fixtures, fittings and other structures within the affected site if it is left untreated for too long, or is treated inexpertly – so leave it to the experts at Ideal Response. We know that the last thing you want to replace your smoke smell is the stench of chemicals, so our teams make every effort to avoid their use as part of our smoke damage repair service. Our methods include dry HEPA filter vacuuming, brushing, air blasting and dry soot sponging. Wet vacuum extraction, pressure washing, steam cleaning and thermal fogging are alternative methods that can also be applied. Finally, the unique BIOSWEEP® system can be applied to fully eradicate the micro-organisms, the presence of which results in stubborn odours. Neutralise, clean and deodorise smoke residues after a fire.